I spent last week in Houston, TX. Unlike many March Houston visitors, I wasn't there for Rodeo Houston (sadly, I still haven't been to the Houston rodeo). 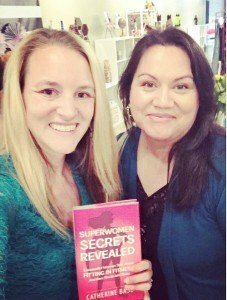 Instead, I was back in the Bayou City to celebrate the launch of my new book, Superwomen Secrets Revealed: Successful Women Talk About Fitting in Fitness and Dare You to Join Them. 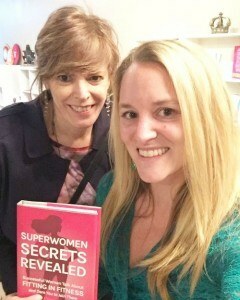 When I started writing my book, I had no idea I'd be leaving my Houston friends and fellow lady bosses behind before it was published. So while I did have to cross a few time zones and schedule my Houston book tour around my Girls on the Ru﻿﻿n coaching schedule, I knew I had to make the trip happen. Afterall, so many of these ladies played a key role in the book's success and completion. It wouldn't feel right moving forward without their blessing. 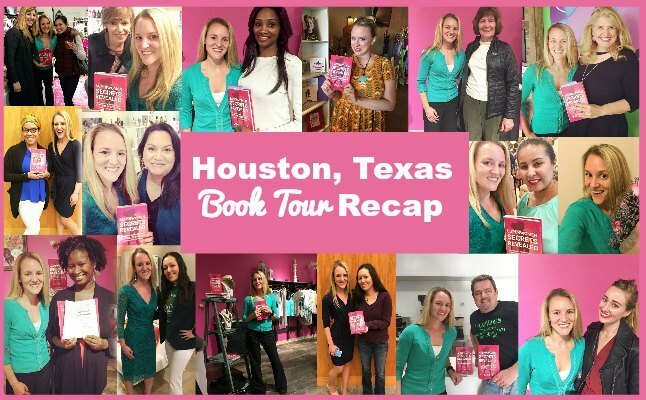 Where did my Houston book tour take me? 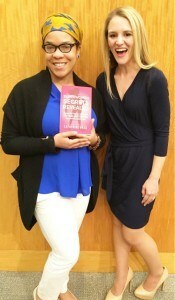 Below I share a recap and...where you can go in Houston to get your copy of the book! Yes, you can buy them anywhere books are sold, but...I've pulled some strings to hook you up with a discount when you shop small and local instead 😉 Read on for the full details! Owner, Preston Naquin, invited me to be the opening act for his weekly Social Media Lockdown event. It was such an honor to be a guest speaker for this group of Houston entrepreneurs. 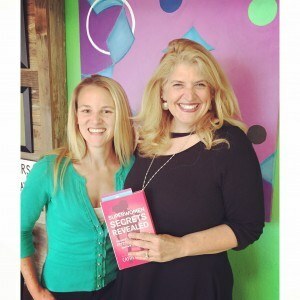 I really enjoyed catching up with Preston and meeting cool Rosenberg, TX business owners, entrepreneurs, and creatives like the fun, fearless, female rockstar (and sometimes pirate!) abstract artist Kimberley Cleland. Live in or near Rosenberg (it's less than 30 mins from Cinco Ranch!)? You definitely want to check out the sandwich shop. Open 11-4, The Copious Deli is a great place to enjoy a healthy lunch away from the hustle and bustle of the city during the workweek OR to visit during a Sunday drive. Rosenberg has a great art and antique scene! Point your GPS HERE to find it. Celebrating with close friends at Scout & Molly's West University to kick off the Houston book tour and give back! After my talk at The Copious Deli, I headed to Houston for my 2nd event of my Houston Book Tour at Scout and Molly's West University. This was a private event and a wonderful way to celebrate with clients, friends, and fellow Houston female entrepreneurs. Owner Susan Baca Bradley threw us a wonderful party where we enjoyed light bites, drinks, shopping and each other’s company. Thanking all the wonderful Houston, TX women who supported me along the way! Susan and I committed to donating 10% of profits that day back to The Community Cloth, the organization responsible for bringing us together (thanks to another awesome party thrown by Shasie of Live Life in Style). To make a bigger impact, I’ve decided to continue giving back! Now through Friday, March 31st, 10% of fitness session profits will go back to The Community Cloth. Book your session HERE to be part of the fundraising efforts. One of the first groups I joined when I started my business was MsIndependen﻿﻿﻿﻿t. That made it a true honor to co-host an event with MsIndependent founder, Erin Creeks, at the beautiful R﻿﻿﻿﻿﻿﻿﻿ep﻿﻿﻿﻿ublic Square. This was my first speaking engagement recorded by a professional videographer so I didn't leave anything to chance! With an awesome audience listening to my talk, I didn't feel nervous speaking (thank you, ladies!). I caught up with friends and fellow business owners over lunches, dinners, and visits to meet cute new babies. In between I snuck back to Scout and Molly’s! 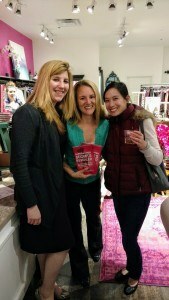 Susan and her ladies were such awesome hostesses on Tuesday night that I spent the whole time signing books instead of shopping. And I had to shop-I had a shopping credit to use! The last event of my whirlwind Houston, TX book tour was one of the most fun. 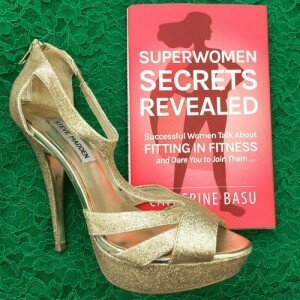 I got to go green for Saint Patrick's Day and had an excuse to wear my lucky gold glitter shoes. Basically, it was this Irish girl's dream come true! Believe it or not, I didn't even pick the theme or date for this event! I have to give the credit for that to one of my favorite Houston women, Elizabeth Pudwill, the founder of the non-profit, I Know Somebody, Houston. 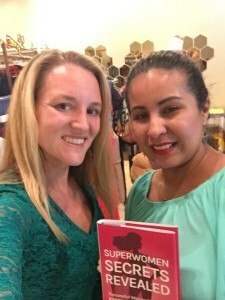 Elizabeth has always been one of my biggest supporters so when I planned my book tour I knew I wanted to host some event with her organization, the largest one of its kind in Houston (they have over 6,200 members!). I was even more excited when she suggested hosting the event at Thinking Girls Boutique, one of my favorite spots in Houston. Owner, Alicia Elatassi, has also been a huge supporter of mine. 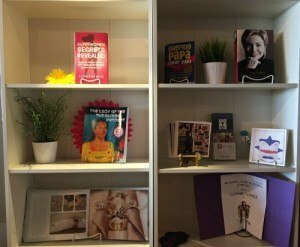 I love visiting her boutique to meet with other Houston business women, shop for unique gifts, and learn. Even though I was the "teacher" on Friday, Alicia taught me a few Instagram tips (hence, why I've been a better Instagram story teller lately 😉 ). This event was a wonderful way to wrap up the week. I had a special guest in the audience, one of my new best friends who I met at an earlier event (yes-she heard me speak TWICE in one week-luckily, it was a different theme, but -so sweet! ), got to celebrate Saint Patrick's Day with another Turley lady for the first time in YEARS (Houston, TX photographer, Somer Turley shares my maiden name! ), and enjoyed some wonderful conversations with the women in attendance. I'm working on a recap of some of my best tips and takeaways from my talk that day which will appear on the IKSH blog. Eagerly awaiting them? Head to my Facebook page to find a few summary slides (look for the green) or check out the blog post Somer Turley wrote about the event and my book HER﻿﻿﻿E. When I planned my visit last week, I had no idea it was Spring Break for many schools soooo I will definitely be back to catch up with those of you I missed. In the meantime, I have good news! 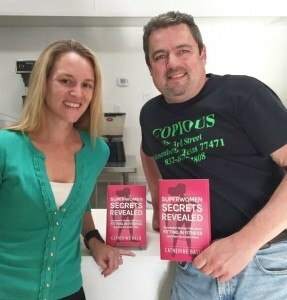 Superwomen Secrets Revealed can be purchased at The Copious Deli! You can grab your hardcopy of my book at either Thinking Girls Boutique or The Copious Deli for just $25 +sales tax (that's about $5 off list price)! Be sure to call ahead as I left a limited number of copies for now and....please, promise me one thing-that you'll use your $5​ off back in the deli or boutique? I really appreciate these stores stocking my books and would love your help supporting these awesome Houston, Texas business owners and friends!